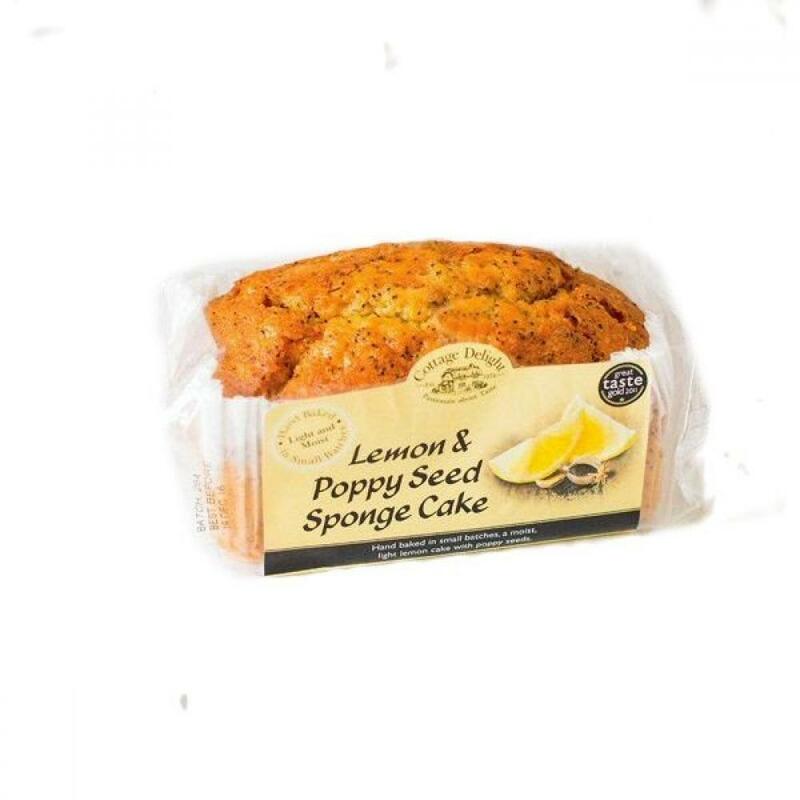 Hand baked moist lemon cake containing lemon zest and poppy seeds. Gold Great Taste Award Winner 2011. INGREDIENTS: Sugar, Whole egg, Wheat flour (Contains Calcium carbonate, Iron, Niacin, Thiamine), Rapeseed oil, Flavouring, Humectant: Glycerine, Poppy seeds (2%), Modified waxy maize starch, Whey powder (from Milk), Raising agents: Disodium diphosphate; Sodium bicarbonate; Calcium dihydrogen phosphate; Calcium hydrogen phosphate, Emulsifiers: Propane 1, 2diol esters of fatty acids; Mono and diglycerides of fatty acids; Sodium stearoyl-2-lactylate, Wheat gluten, Preservative: Potassium sorbate.